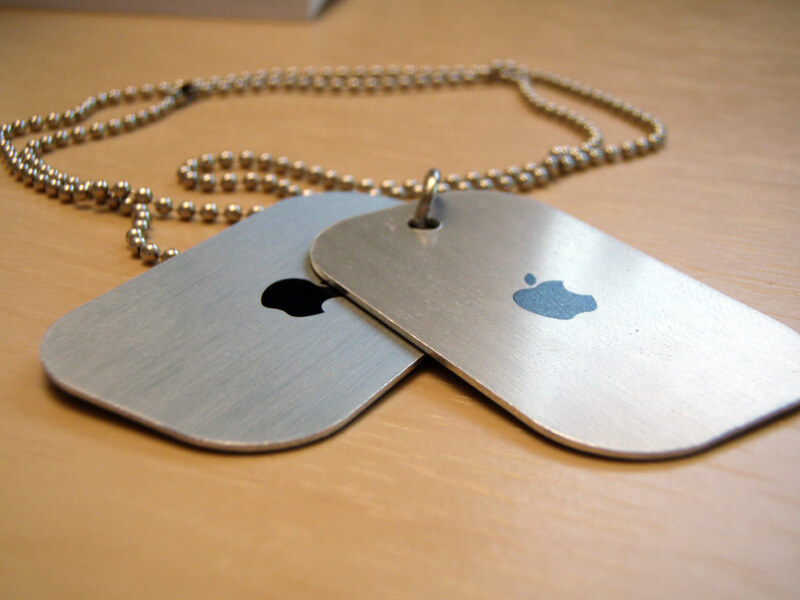 It was VERY cool to attend an Apple Store event for the very first time. Here's my archived blog entry of the event. 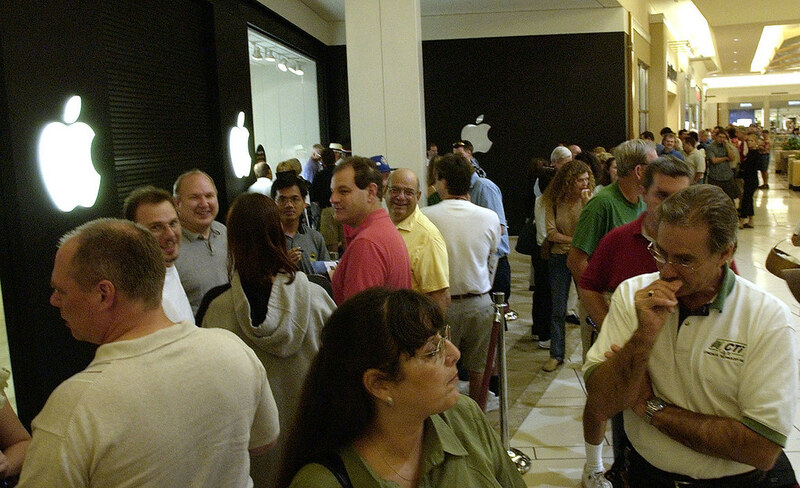 I didn't bring my camera in since I was too busy with other matters, but I found these photos on MacMinute by photographer Jack Rowland: "The line for the Panther launch at the International Plaza Apple Store in Tampa, Florida began forming around 6:30 p.m. 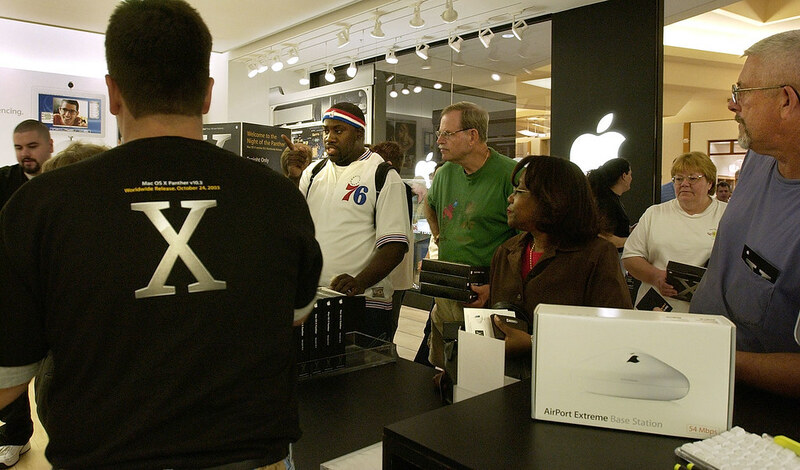 The doors opened right at 8:00 p.m to cheers an applause from the Apple faithful. Each person who entered the store was greeted with a handshake and a smile from the store staff. I estimate that more than 300 people were in line at 8:00 p.m. With a 10% discount on all hardware and the same discount on everything else in the store if you bought Panther, everything was selling at a brisk pace. I left around 10:15 p.m. and about 100 people were still in line, since the staff was controlling the number of people in the store." 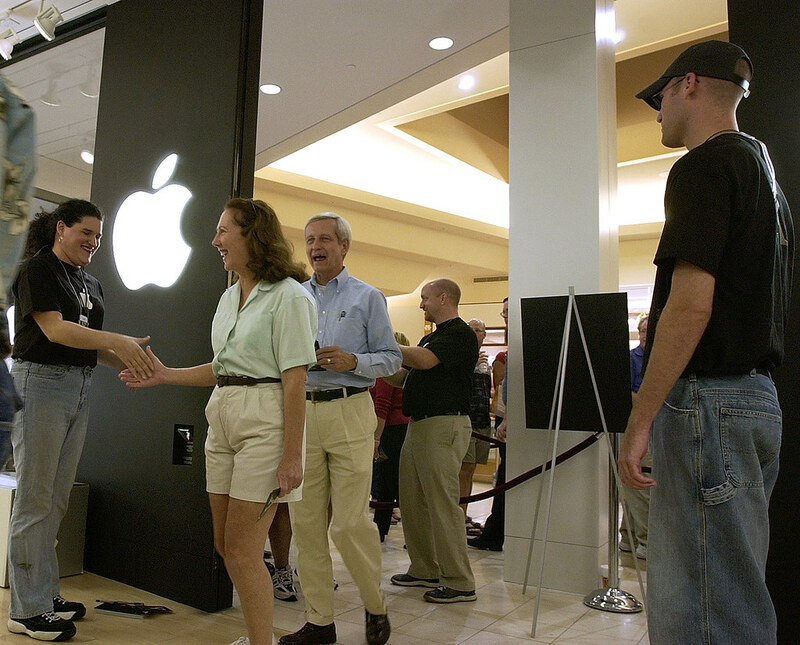 Several hundred people wait outside the Apple Store at the International Plaza in Tampa, Florida just moments before the doors opened for the offficial launch of Panther. I didn't even realize how huge the line was until I was sent this photo. I couldn't look around the corner from where my spot in line was. 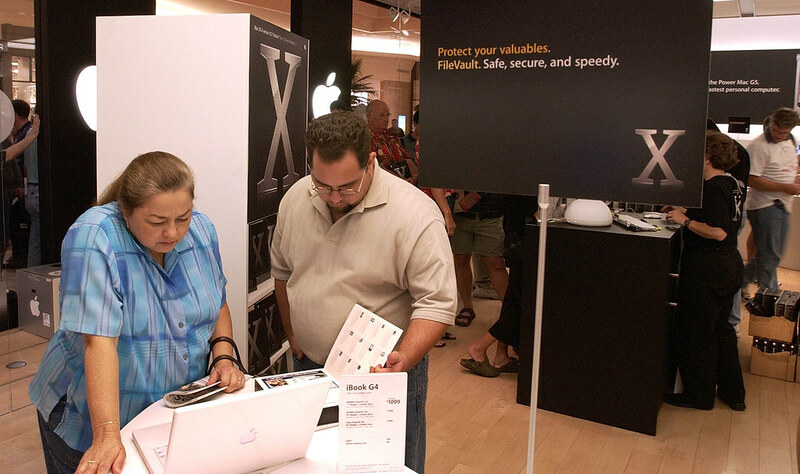 You can just barely see me in this photo, on the right edge of the white column, and just left of the most distant Apple logo. 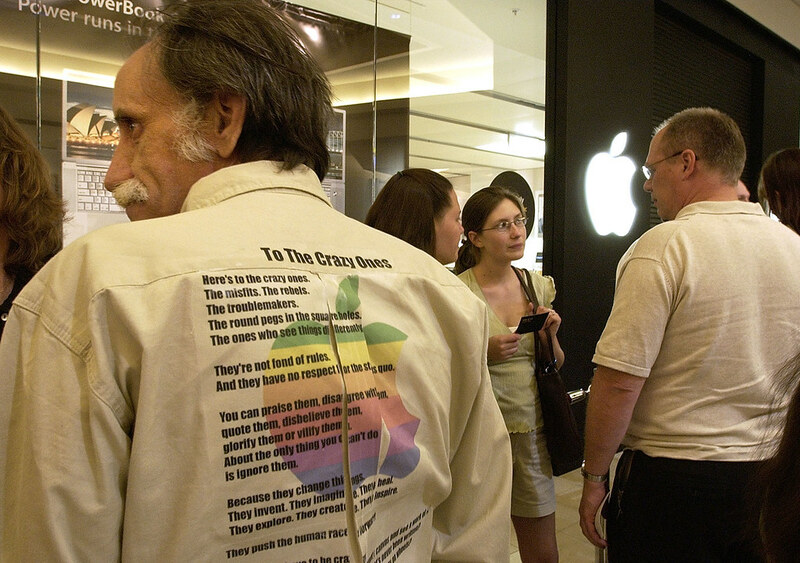 Yeah, yeah, and I was wearing my About This Particular Macintosh e-zine shirt. MANY sales this night. 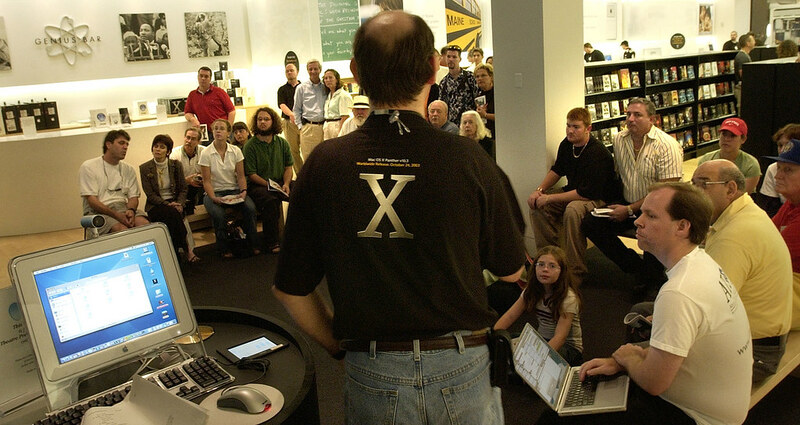 And, with a 10% discount this night only for anyone who purchased Panther, a LOT of G5s were sold. Hey, look there. It's me on the right, with my laptop. 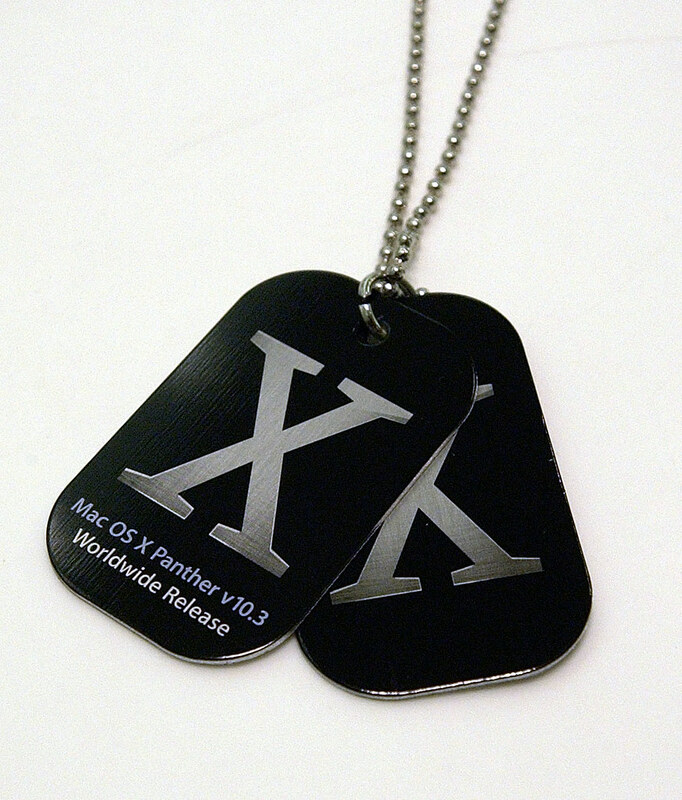 These OS X Panther dog tags were given out to all who attended the launch at the International Plaza Apple Store in Tampa, Florida. Oh, the irony—Panther / Dog.